Peter Bryer: Mobile Foresight: Samsung S Health accessories. Samsung's Sensor fusion play. Samsung S Health accessories. Samsung's Sensor fusion play. Last week I wrote a blog entry about my take on a potential wrist-worn device from Apple (please see "An Apple watch could be a genius big-data play"). It's complete conjecture on my part, but I see that any such device would be just as much about collecting information as providing it. 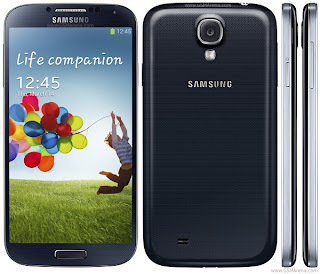 I have no detailed comments to share on Samsung's Galaxy S4 which was unveiled yesterday. The vendor showed off a series of evolutionary new features which anyone following the latest trends would have expected. A 1080p, 5-inch screen, eye-tracking, wireless charging, NFC... Samsung ticked off all the right boxes for a 2013 flagship device. But the more interesting development wasn't in the device itself but what was happening around it. Samsung also introduced a series of health-related accessories which will work with the device and its "S health" software. The accessories included a scale, a heart-rate monitor, and an "S band" similar to the Fitbit or Nike's FuelBand. These accessories collect and feed info to the smartphone for further processing and storing. The data allows users to see journals over time. Vendors of smartphones should be aware that opportunities are growing outside of the box and beyond the screen. Sensor fusion is no illusion. Nintendo Wii Fit, eat your heart out. For those looking to network with Chinese mobile players and understand the market: the kind producers of the Global Mobile Internet Conference 2013 and the extended "G-Trip" contacted me to share a 25% discount code with any readers who might wish to attend. You can register your attendance at http://beijing.thegmic.com/register/ and paste in the following code into the "discount code" section: GMIC-VQ9596MT GWIC 2013. Be there. And see see Tiananmen Square.